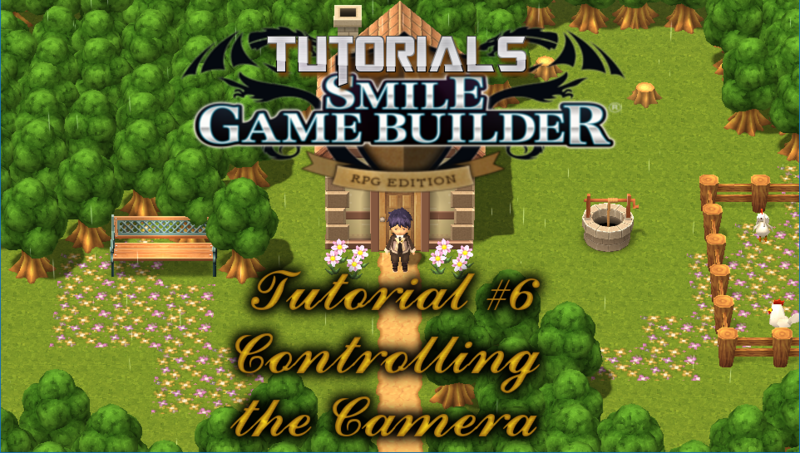 Camera Control is a new function available for Smile Game Builder. With it, you’re able to use cameras to create some stunning effects, such as for cut scenes and map panning. This tutorial is an overview on its functionality and how to use each of its options. This is a multi-part tutorial, but I’ll revisit this at some point in the future. Also in this tutorial is a quick event setup to allow you to view conversations from the first-person perspective. You can switch between characters as they talk. This is achieved by a simple, yet effective method. Other major updates now available are an autorun/parallel processing setting for events (which I’ve shown in other tutorials) and advanced variable options.